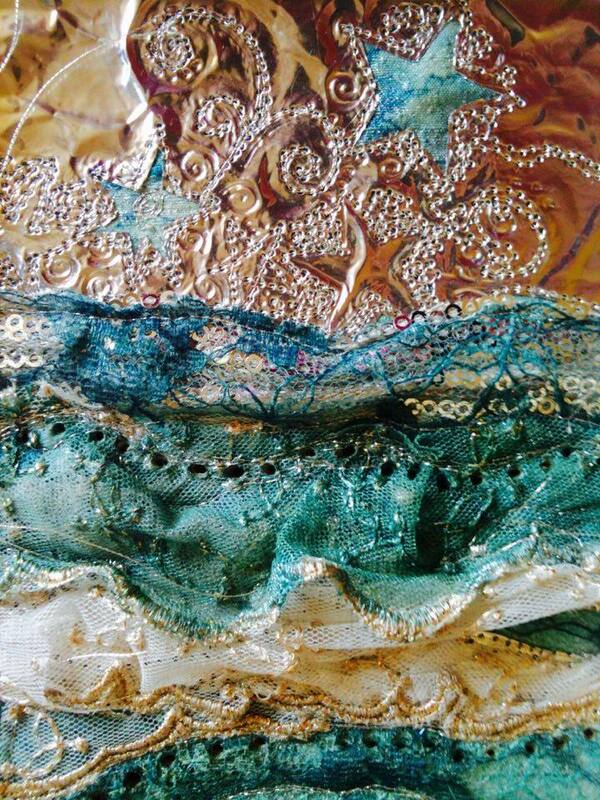 A glittery sparkly day spent creating a textural landscape on dupion silk, using textile paints and inks on lace. You will be shown how to build up layers whilst incorporating metals, Angelina fibres and silk tissue within your composition. The afternoon will be devoted to stitching your panel with the free-machine embroidery foot.